'Big Trouble in Little China' Sequel In the Works | Nerd Much? In a bit of surprising and exciting news, Fox has spilled the beans that they’re planning a Big Trouble in Little China sequel. Things are still in the early stages of development, and there’s not even a director attached to the project just yet. We also don’t know when the Big Trouble in Little China sequel release date will be, nor do we know any casting details. What we do know is that fans of the original Big Trouble in Little China 80’s cult classic are in for a second movie after nearly 30 years. In fact, we wouldn’t be surprised if the timing of the movie release were set for Summer 2016 in celebration of the 30th anniversary. 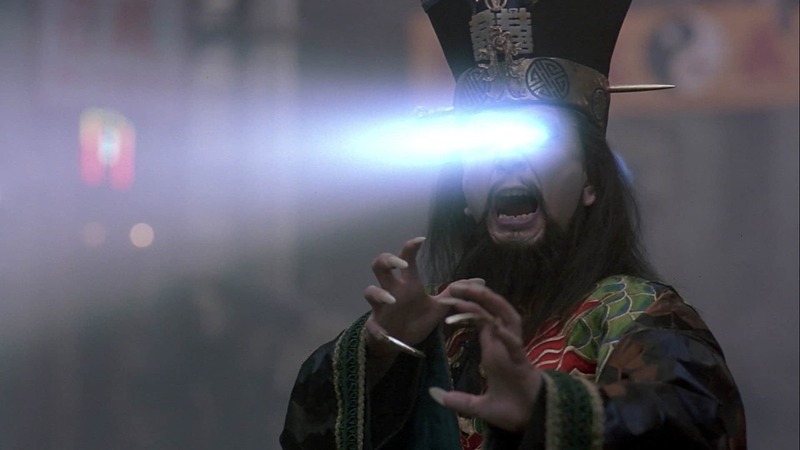 The original Big Trouble in Little China was an absolutely ridiculous cult film starring Kurt Russell and a young Kim Cattrall (both of which are basically irrelevant by today’s Hollywood standards), and the absolutely stellar James Hong. The only deal breaker for a Big Trouble in Little China sequel would be if James Hong didn’t make the return as David Lo Pan. We’d also like to see another back alley brawl between kung fu artists with strange magic and those less powerful. Our long-nailed fingers are crossed. Big Trouble in Little China came in at #26 for our list of the 50 Most Underrated Action Movies. While we’re not sure whether to be excited or scornful of yet another reboot — which, let’s face it, that’s probably what it will end up being — it’s certainly big news for those that loved the original movie. Is the Big Trouble in Little China 2 a good idea? Sound off in the comments below.